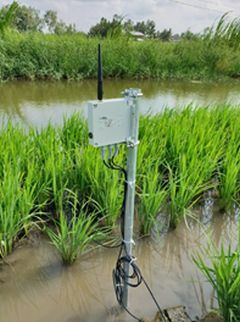 Kyoto, Japan, Jan 22, 2019 – (ACN Newswire) – Murata Manufacturing Co., Ltd. is promoting measures to address salinity impact to agricultural land by conducting field trials utilizing a soil monitoring system that makes it possible to visualize the condition of agricultural land in the Mekong Delta*1 in collaboration with Can Tho University, a national university of Vietnam. 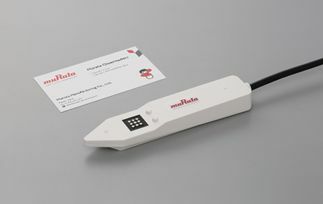 The initiative is part of "Studies on Sustainable Soil Uses*2" (hereinafter referred to as "the Project"), based on an agreement between the governments of Japan and Vietnam to provide ODA (Official Development Assistance) in support of measures to address the problem of salinity impact to agricultural land. Vietnam&apos;s Mekong Delta region is subject to salinity impact from the infiltration of seawater during the dry season as a result of a decline in the volumetric flow rate of the Mekong River and the action of the tides under the impact of climate change driven by global warming. In addition to salt damage, the environment for agriculture has become harsher than in the past due the increasing severity of droughts and floods. The Mekong Delta region contains 30% of Vietnam&apos;s farmland and accounts for the majority of its domestic food production, and the damage, which is estimated to run into billions to tens of billions of yen, has become a serious problem. ACN Newswire provides full service, real time press release distribution for companies and organizations wishing to disclose and disseminate information to media, business, and the financial markets worldwide. ACN Newswire distributes press releases in English, Simplified Chinese, Traditional Chinese, Korean and Japanese.